Well, here I am sitting on the couch, wrapped in a cozy blanket while a winter snowstorm ensues outside, and Ben just pushed play on our former demo CD from last October. The recording is okay, but our actual CD is going to be so much better. Dad, Mom, Whitney, Ben, Leesha, and I finished listening to our second-to-final mixdown/master CD, and we feel very excited! It’s a representation of who we are and our abilities at this time; it will be like taking a piece of our concerts home. One of the most exciting things about the album is the CD can go places we cannot go – our music and God’s message can reach individuals, homes, and other venues where it may be impossible for our family to reach. May the Lord bless this new facet of ministry! We are waiting on some licensing aspects for the songs, and I am still working on the graphic designing with Mom and Dad. The plan is to send the entire project off to the duplicators this week. We are so close! 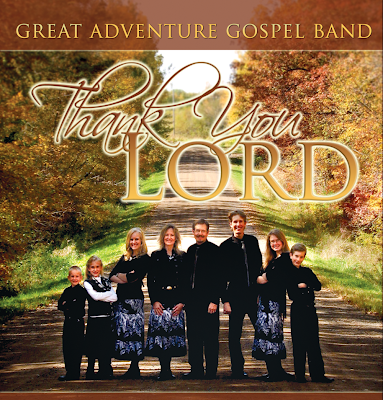 If you would, please beseech the Lord on our behalf that everything would go smoothly, all licenses would be procurred, our family would be safe from satanic interference, and the hope and power of Jesus Christ would shine through this CD. Wow. I am suddenly overwhelmed at the goodness of God. When we first began singing together (even in the practice stages), we always dreamed of someday, somehow recording a CD; we didn’t know how, when, or if even we were meant to, and now, the Lord has graciously allowed us this great opportunity. Praise the Lord! We closed the almost-final listening session with prayer, asking the Lord to bless this project. We feel at peace about it, and are looking forward to finally making it available for YOU to be blessed. Ben is creating an audio demo/commercial for the CD, so you will be able to hear a “sneak peek”. I am also in the process of compiling video and pictures for a short behind-the-scenes video. Be on the look-out for those coming out in the near future! I realized I never did reveal the story behind the last picture of this blog. “The time has come, and the time is now, so Marvin K. Mooney, will you please go now?” (Sorry, I couldn’t help but quote a favorite Dr. Suess book!) Yes, let me inform you of a special surprise on our first album. Around the time we began recording in the Cave, Mom had a brilliant idea to ask our church choir to sing a song with us: the fun gospel hymn, “Power in the Blood”. During our concerts, as might know, we invite the audience to sing along with us, and we have lots of fun together. (In fact, Great Adventure Gospel Band has a rule: you cannot leave the concert until you sing along with us! 🙂 We were still deciding what songs we would want on the CD, so the idea was laid aside among the other ideas. Now, some friends from our church, Bob and Edna, love to attend our concerts (pretty soon they’ll be able to sing on stage with us, I think!). Once during a concert last year, Dad asked the audience to tell us of a favorite song from the concert which they’d like to hear on our CD. Bob and Edna were there, and Bob came up to Mom, saying, “I liked that ‘Power in the Blood’; it was rousing with everyone singing!” Mom later shared it with us, and then we decided to go ahead and put it on the project. We are thrilled, to say the least, to have such a neat song on our CD, and hope you will enjoy it as well. The choir was great and added a wonderful “touch” to the arrangement. In conclusion, pray for us. Pray for Ben and the final mastering he is doing. Pray for me as I finish creating the CD artwork. Pray for wisdom for Dad and Mom as they handle much of the licensing “stuff”. We certainly appreciate it! We haven’t been able to find your future schedule of concerts on the web site. Therefore we haven’t been able to show up for them. 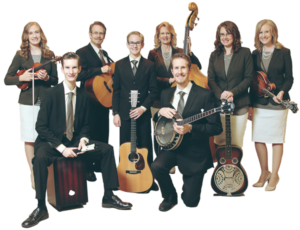 I suppose you’ll be at North Isanti Baptist in the spring whenever that will be held. We’re looking forward to seeing your family again. Please help me find your schedule. I can’t wait to see the behind-the-scenes videos! FUN! 🙂 The front cover of the CD looks SO well done and professional – great job!